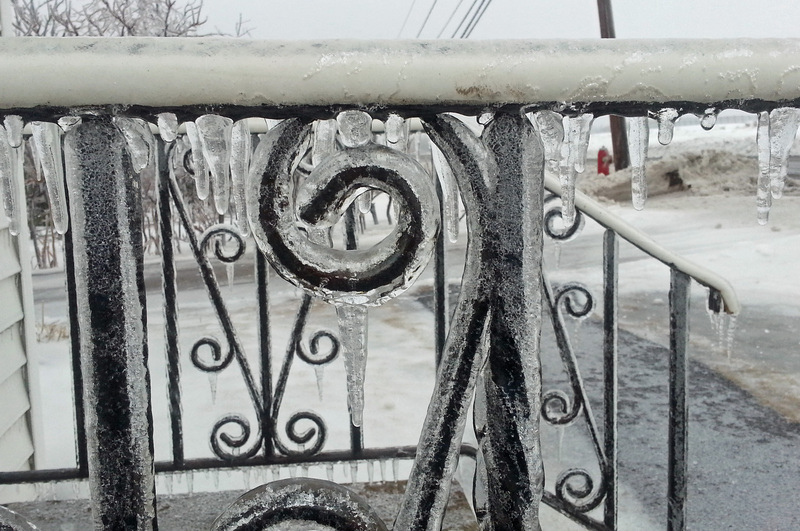 We’ve been having freezing rain in the Greater Moncton area since yesterday. This is a photo of the railings on the stairway into my accountant’s office in Dieppe. Thought I’d get a head start on having my 2013 tax return done, but none of his staff could make it in because of the roads out where they live. Safety first in this terrible weather! Drive carefully! It’s a nasty one out there!